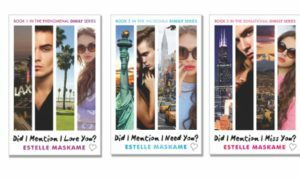 Aged just 17 Estelle Maskame, based in the North East of Scotland, exploded on the Young Adult publishing scene with her bestselling DIMILY [Did I Mention I Love You] trilogy. 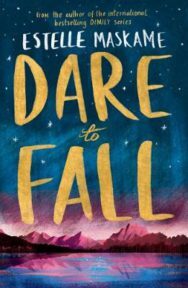 Her new YA novel Dare To Fall, published in July, has already caused a social media stir thanks to her global community of fans. In this interview Estelle explains how the book came about and why being a published author is a dream come true. Q. 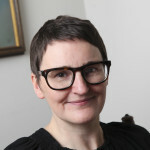 You started writing when you were only 13 years old and landed a three-book deal with Edinburgh-based Black and White Publishing by the time you turned 17. How did this come about? A. I’d been posting my work online on several different writing communities, hoping to gain some helpful feedback from anyone who would take the time to read my work, when it blew up into something much bigger than I expected it to. Through promoting my work across social media and being consistent with my writing, I gained 4 million hits online and built up my own fanbase within less than four years. I was interviewed for my local newspaper, and then STV came along and wrote a few pieces about me, and then I was on their TV news. Word was spreading and that’s when Black and White Publishing came into the picture, and a month later, I signed my book deal and left school. Q. What’s it like writing full time at such a young age? A. I absolutely love it! Most days, I just get to enjoy my hobby, so there really is nothing more I could wish for. However, it can get quite stressful and isolating sometimes too. Q. Your online following has played a big role in your publishing story and how you connect with readers across the world. You have a huge number of followers including almost 170K Twitter followers, some of whom are very devoted fans. What’s that like? A. It’s amazing! Without a doubt, I wouldn’t be where I am today if it weren’t for the support of my readers across social media. I like to think of them all as my friends more than anything else, because I really do share everything with them and it’s such an incredible feeling knowing that there are so many people out there who believe in me and are rooting for me. I always want to do them proud, and I hope that I can inspire them to work hard to achieve their own goals and dreams too. Q. 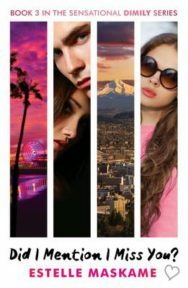 The Did I Mention I Loved You (DIMILY) trilogy has been a huge success internationally and is currently licensed to an impressive 16 countries. Do you have any international highlights? A. Definitely the time I visited Paris. DIMILY has done really well in France, and I can remember doing my first French book signing last year in Paris and glancing up at the three hour long queue and having it hit me all at once that I was living my dream – ever since I was young, all I had dreamed of was being an author who could do book signings in other countries where there would be a line of people holding my book in their hands, so that was a cool moment for me. Q. Tell us about your new adventure – Dare to Fall. A. Dare to Fall is my new Young Adult romance, in the same contemporary style as DIMILY, which is a standalone novel. It focuses on MacKenzie, a girl who is terrified of grief, and Jaden, a boy who is grieving. It’s been super fun to work on something new but also challenging, and I can’t want for people to read it! A. I’m taking a break at the moment now that I’ve finished Dare to Fall, but soon I’ll be diving straight into my new project – it’s an idea I’ve been toying with since 2012, so I’m very, very excited to finally give it a go. Again, it’s still Young Adult contemporary romance, and I’m confident that my readers will love it, but it’s all still a secret for now! 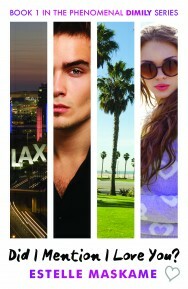 Dare to Fall by Estelle Maskame is out now published by Black and White imprint Ink Road priced £7.99. You can read an extract here from Did I Mention I Love You? 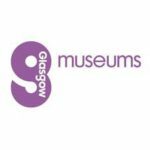 on Books from Scotland.